At the invitation of Ben Chapman MP, Chairman of the All-Party Parliamentary China Group, H.E. Mme. 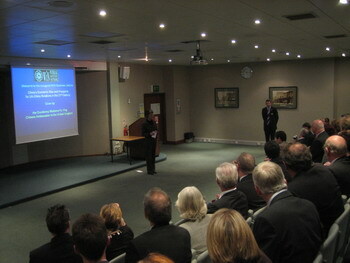 Ambassador Fu Ying visited Wirral from November 9 to November 10. 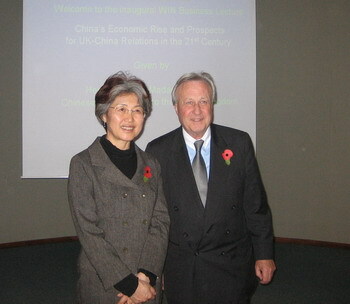 Accompanied by Chapman MP, Fu Ying met Mr. Gilchrist, Mayor of Wirral, and Mr. Maddox, Chief Executive Officer of Wirral, visited Unilever UK, Wirral Girl's Grammar School and Wirral Metropolitan College, and delivered a speech at Wirral Investment Network on Sino-UK relations and economic and trade cooperation. In Unilever UK, Fu Ying carefully listened to the introduction by Manager Ribeiro on production and distribution of commodity and their cooperation with China, visited production procedure of solid detergent slices and liquid detergent capsules that have been innovated by the company, and learnt from its experiences of large scale benefit and environmental protection. In Wirral Girl's Grammar School, Fu Ying attended welcome ceremony held by President Cogan, visited classrooms of all grades, had a cordial conversation with students about their interests and hobbies. 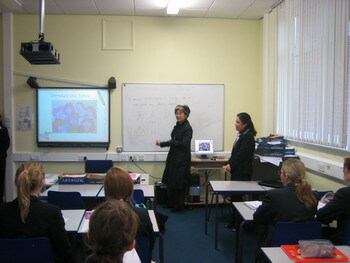 In Chinese Class, she explained the connection between writing and meaning of pictographic Chinese characters to the students, which was warmly welcomed. President Cogan denoted that with the development of China, more and more students choose to study Chinese and the School wishes to establish connection and carry out exchanges with Chinese schools. Fu Ying promised to recommend a Chinese school for them. In the speech at Wirral Investment Network, Fu Ying introduced huge achievements and new challenges in the development of China in a graphic manner with specific data, elaborated on opportunities brought by the development of China to Sino-UK relations. She wished that all circles of UK could have a more objective and overall understanding of China, encouraged Wirral to expand its cooperation with China in trade, investment, environmental protection, education and culture. She answered questions of economy and trade cooperation with China, environmental protection and the exchange rate of RMB. Fu Ying also attended welcome dinner held by Mayor Gilchrist, more than 20 VIPs from political, business and education sections of Wirral attended. Wirral lies in northwest of England with a population of about 300,000. It has 4 constituencies. The South Wirral Constituency represented by Chapman MP was set up in 1983, which had been controlled by the Conservative Party for a long time. In 1997, Chapman won the election as a candidate of Labor Party. He was reelected and has been representing the constituency till now. 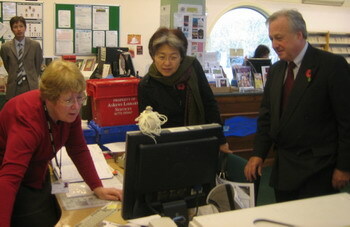 During her visit, Fu Ying also observed the reception of electorate by Chapman MP and met members of the Chinese Association of Wirral.